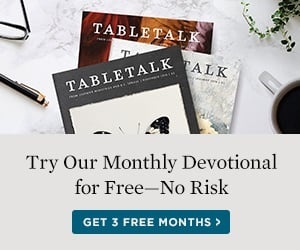 Tabletalk: Please describe how you became a Christian and your call to ministry. 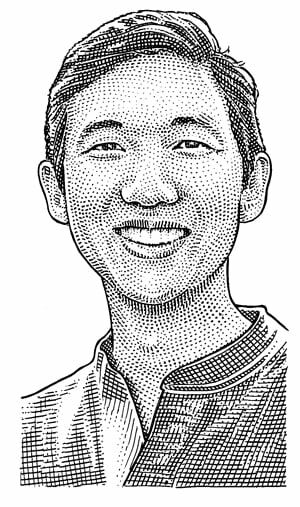 Michael Oh: I am a fifth-generation Christian on my father’s side. My life is part of a legacy of faith that started with my great, great grandmother. Despite this tradition, my youth was marked by self-centeredness, vain ambition, insecurity, and a rebellious heart. Everything came easily to me—whether athletics, music, academics, or other endeavors—and I quickly rose to the top of whatever arena I entered. Eventually, however, I became overwhelmed with a tremendous fear of failure. Having reached the top, I knew there was only one way to go—down. This handicapped my life for much of high school and prevented me from achieving much, either for myself or for anyone else. The Lord used this fear, as well as my desperate search and need to love and be loved unconditionally, to bring me to true faith by the end of my high school years. The change was transformational, and for the first time in my life I had a passion to use the gifts that the Lord had given to me fully without fear and wholly for His glory. TT: What is the mission of Christ Bible Institute (CBI) Japan Ministries and how does it carry out its work? MO: The mission of CBI Japan is to ENGAGE Japanese society with the gospel, EQUIP leaders in the gospel to reach Japan, and EXPAND the kingdom of God through planting gospel-centered churches. We are involved with a city-center outreach to young people called the Heart & Soul Café. Our vision for the café is to establish a “safe space” for young people in the heart of the city. Upwards of 9 percent of high school girls report having participated in enjo kosai, which is a form of teenage prostitution. Upwards of 4 percent of middle school girls have participated as well. There are alarmingly high rates of bullying in the schools (even of the teachers) and among the highest rates of youth suicide in the world. Japan is not a safe place for young people physically, emotionally, relationally, sexually, or spiritually. We are seeking to help young people find that safety in Christ. Equipping leaders to reach Japan is the goal of Christ Bible Seminary, which is now one of the largest seminaries in Japan, with a vibrant student body of future leaders of the Japanese church. Although most of our students are not from a Reformed background, they soon come to appreciate the richness of our theology and experience the powerful implications of such theology in life and ministry. Finally, we are engaged in church planting ministry with All Nations Fellowship. We are planning for our second campus within the year and have had the joy of training several seminary interns in outreach, preaching, and teaching. We expect this church planting ministry to grow exponentially with almost unlimited opportunities in this the largest unreached nation on earth and with a healthy flow of seminary students and graduates eager to plant churches. TT: What is the greatest lesson God has taught you as a missionary in Japan? MO: That God alone saves. There are many questions about why the gospel has taken so long to take root in Japan—and why Korea has thrived spiritually and Japan hasn’t. There are many answers that can be offered to those questions. But the clearest answer is that God will save Japan when God saves Japan. God will bring revival to the Japanese church when God brings revival to the Japanese church. We pray and work toward those ends. We strategize and seek to be faithful. But God alone saves. Many missionaries labor for twenty-to-thirty years without seeing much visible fruit. They faithfully serve their congregation of fifteen people, with just a few responding to the gospel. I thank God for such faithfulness and perseverance. They inspire me. They humble me. But I do hope and pray to see with my own eyes in my lifetime a season of unusual gospel impact and growth. I believe that we may be entering into such a season. Last Sunday I had the privilege of baptizing seven wonderful Japanese people. We’re already planning for our next round as well. God alone saves. TT: What is the state of the church in Japan? MO: The church in Japan is filled with precious believers with sincere faith. I love Japanese Christians and consider it a privilege to serve side by side with them. Overall, though, the church is aging, languishing, and overly self-preserving. There is a need for fresh vision to reach young people, to engage actively with the society around them, and to return to the Lord with devoted prayer, hunger for His Word, and a willingness to pay the price as a witness for Christ. TT: Historically speaking, why has it been so difficult to reach Japan with the gospel? MO: Historically speaking, we are talking about a nation with the longest continuous hereditary monarchy in the world, with a centuries-long global isolation, and its entire population residing mainly on one island. Change does not and will not occur easily. On this isolated main island, leaders over the centuries have exercised rigid control over its populace. The Japanese have been as efficiently and effectively socialized as anyone has anywhere at any time. It’s not too different from the totality of what it means to be a Muslim. Add to this the fact that there was a generally lukewarm response to the call for missionaries after the end of World War II (when the spiritual opportunity was greatest), and it’s no surprise that it’s been difficult to reach the Japanese. But God alone saves, and He saves indeed. And He alone will get the glory. Difficult is not impossible. And for God nothing is impossible. TT: Have Japan’s recent economic problems made its people more open to the gospel? If so, how? MO: Japan is actually entering into a period of renewed prosperity. Those years of recession didn’t break the people’s spirit. But they did provide opportunities for gospel witness and Christian love. Economic prosperity might cause further resistance to the gospel, or it could provide opportunity to talk about what it means to return thanks to the God who created and the God who blesses. We can’t control economic circumstances, but we can respond to them with the richness and comprehensive perspective that the gospel has on all situations and for every life. TT: Does Japan’s historical context give its people a unique perspective on discipleship or suffering, and if so, how? MO: Japan has suffered uniquely as the only nation to have experienced an atomic bomb. And Japan has also uniquely caused suffering. It is possible that as many as thirty million Asians may have lost their lives at the hands of the Japanese Imperial Army. And this is the nature of sin that we are both the victims of suffering and the perpetrators of suffering. We need a God who both heals and forgives. We bear a gospel that brings hope for sufferers and also calls sinners to repentance. The Japanese need to recognize that they are both sufferers and sinners. TT: Tell us something about the church in Japan that most Americans do not know. MO: It is very possible that Japan had its first Christian contact as early as the seventh century through the influences of Nestorian missionaries in China. TT: What can American and other Western Christians do to encourage the advancement of the gospel in Japan? MO: Financially support mission work in Japan and missionaries to Japan. Japan is the largest unreached nation on earth. There is unique spiritual need. It is also the most expensive nation on earth. That means that Satan has a unique economic hedge against missionary work where it is needed most. Our team would nearly double in size if financial support were available for those raising support to come to Japan or to stay in Japan. The main limitation that we have for continued expansion of ministries is financial. I believe that we’ve entered into a new season of mission-sending challenge where the problem is not that we don’t have adequate numbers of people willing to go but that we don’t have enough people willing to send. The reason why the laborers are few is because the senders are too few. Michael Oh is chairman and founder of CBI Japan, which includes a graduate level theological seminary (Christ Bible Seminary), church planting efforts (All Nations Fellowship), and various outreach ministries, including Heart & Soul Café. Dr. Oh is the executive director of the Lausanne Movement. He has also contributed to the book Finish the Mission: Bringing the Gospel to the Unreached and Unengaged.